TH location is excellent. Right on the beach and the little garden is just perfect for breakfast and sun bathing. Clean and spacious with kitchen. De rustige ligging direct op het strand. Mooi ingericht huis. El alojamiento perfecto, todo muy limpio, muy espacioso, unas vistas impresionantes a la playa, genial!!!! Tranquilidad de la zona... demasiada. Localización en frente de la playa, duermes escuchando el mar. Habitaciones muy amplias. Camas cómodas. Chalet muy amplio, 4 baños. Qualité de la maison, emplacement, accueil Lors du dernier petit déjeuner, nous avons eu la surprise de pouvoir voir des dauphins à 500m du bord de la plage !! Lock in a great price for Beachfront townhouse Costa del Sol – rated 8.8 by recent guests! 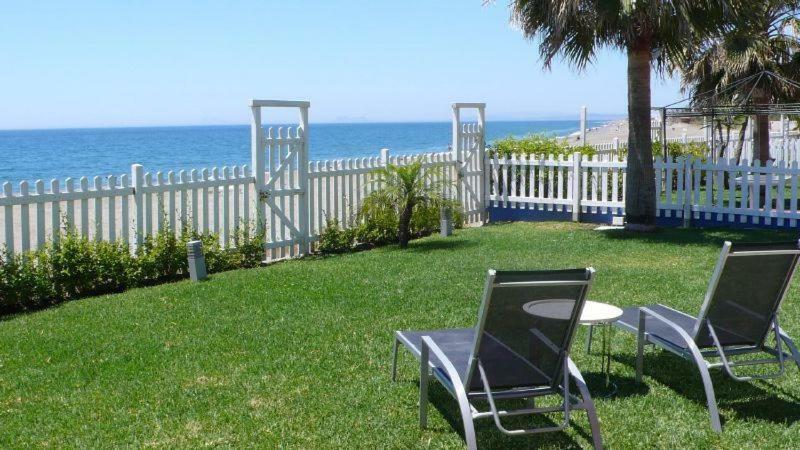 Entrenaranjos Belen Beach I offers beachfront houses, 350 feet from El Saladillo Beach between Marbella and Estepona. 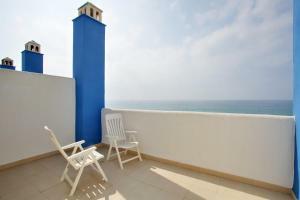 Colorful houses have a private garden with a furnished terrace including sunbeds. Each house is composed by 3 double or twin bedrooms and 3 bathrooms. 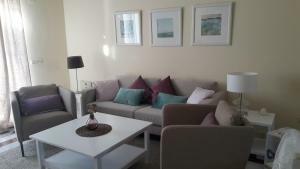 There is a bright living room with a double sofa bed, fireplace and flat-screen TV. A washing machine is provided. The modern kitchen is equipped with a dishwasher, microwave and fridge. You can find a large selection of shops and seafood restaurants in a short walk. 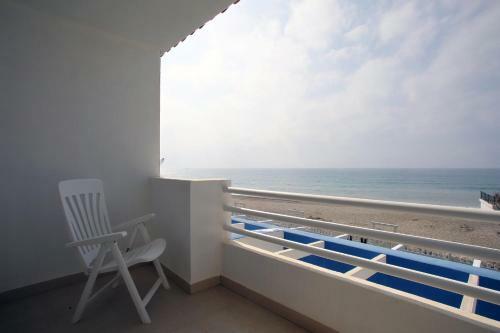 Entrenaranjos Belen Beach I offers easy access to the AP7 Motorway that runs along the Mediterranean coast of Spain. Malaga Airport is 45 minutes’ drive away and several golf clubs can be found nearby. When would you like to stay at Beachfront townhouse Costa del Sol? Distributed over 3 floors, this air-conditioned house comes with 3 bathrooms and a double and 2 twin bedrooms. 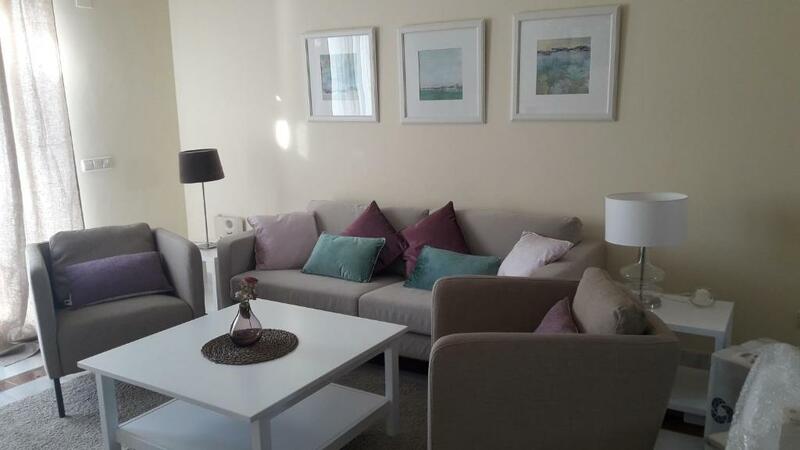 There is a sofa bed in the living room and the kitchen is equipped with a dishwasher, microwave and fridge. A washing machine is provided. 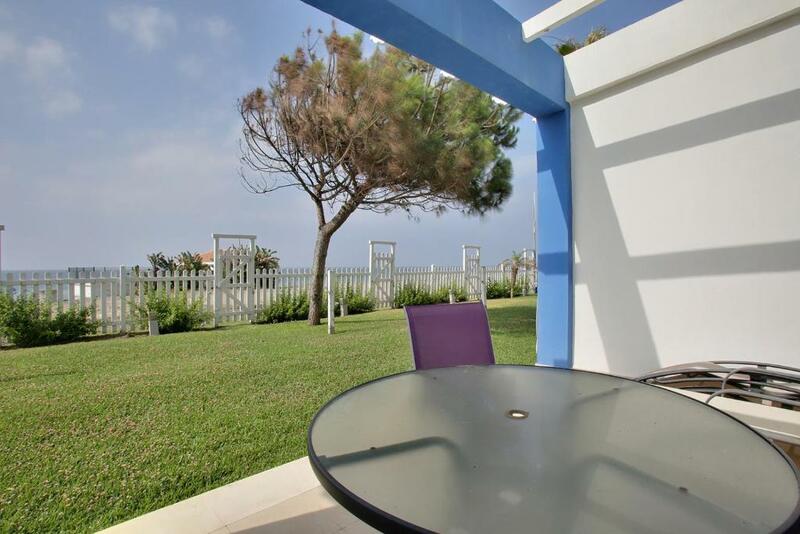 Each house has a private garden with a furnished terrace including sunbeds. 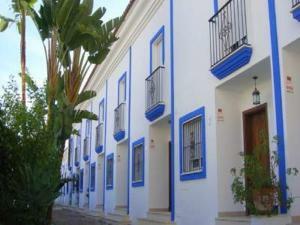 House Rules Beachfront townhouse Costa del Sol takes special requests – add in the next step! 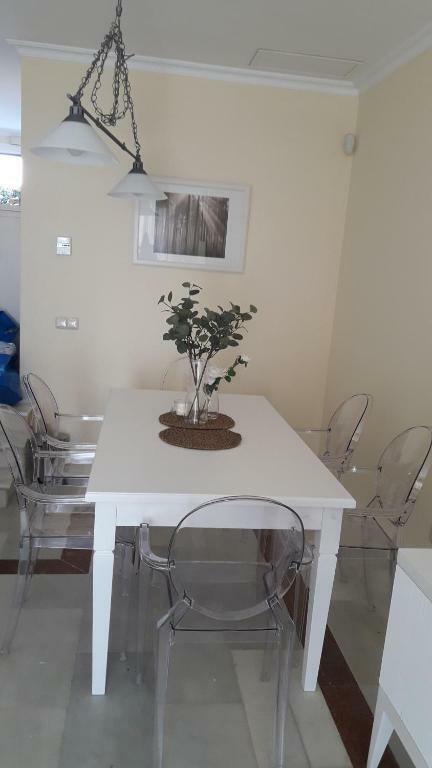 Beachfront townhouse Costa del Sol accepts these cards and reserves the right to temporarily hold an amount prior to arrival. Please note that payment must be made in cash on arrival. Alternatively you can pay by card if you advise the property at least 3 days in advance. Please note that a cot is available upon request and is subject to availability. Each house has 2 private parking spaces which are numbered with the number of the house allocated. 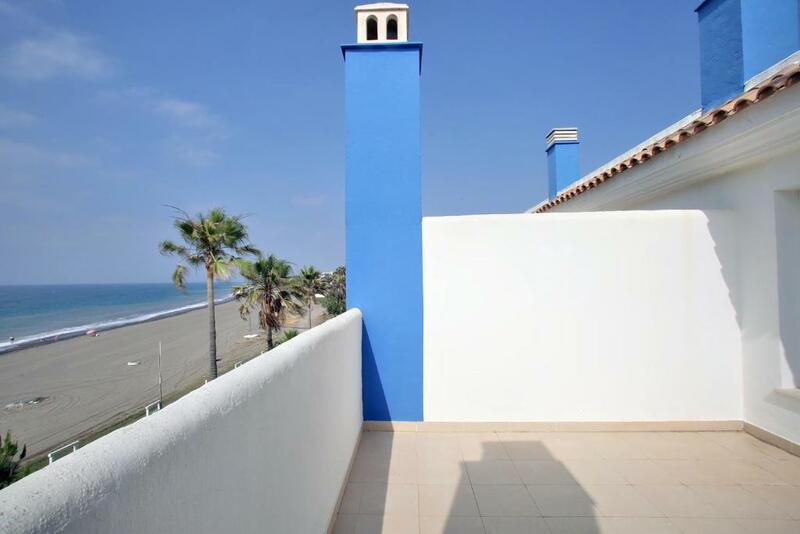 Please inform Beachfront townhouse Costa del Sol of your expected arrival time in advance. You can use the Special Requests box when booking, or contact the property directly using the contact details in your confirmation. There was more to wish when it comes to kitchen utilities. More equipments, please And we were wondering about the sewage treatment on the beach in front of our house!.